I really wanted to check out Burlap & Bean, but damn, they are closed on sundays. Since I had driven all the way over there, I decided to drive a bit further to Media and walk around. I usually only go to Media when I have jury duty, so it’s not too often, luckily. But Media is freakin adorable. What can I say? 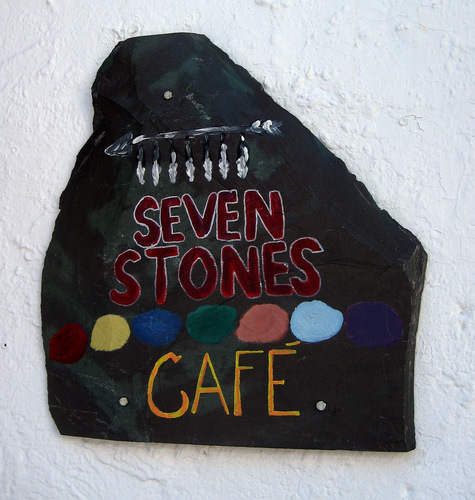 Seven Stone is a little hippie cafe. 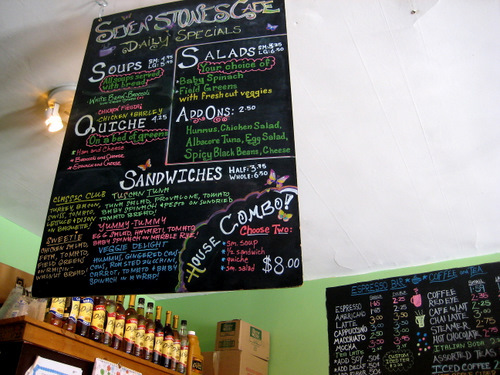 They have coffees and some snacks, sandwiches, sweets, soups, etc. There’s an awful lot of reggae playing on their radio. 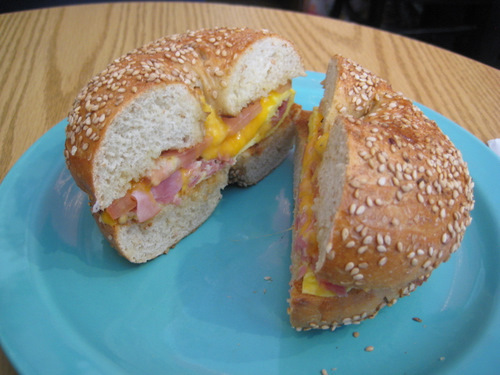 A bagel sandwich with ham, egg, and cheese. By the time we got there, their bagel options were slim. They pretty much ran out of everything. This was ok. I had wanted a gingerbread latte but they ran out. So then I ordered a hazelnut and honey latte, but whatever I got had no hazelnut flavor nor honey flavor. In fact, I’m not even quite sure what I got. It was fine though. They’re flavored lattes are a bit pricey. As for the regular cup of coffee, it was really disgusting. It tasted like ashtray, really. You can’t win em all! 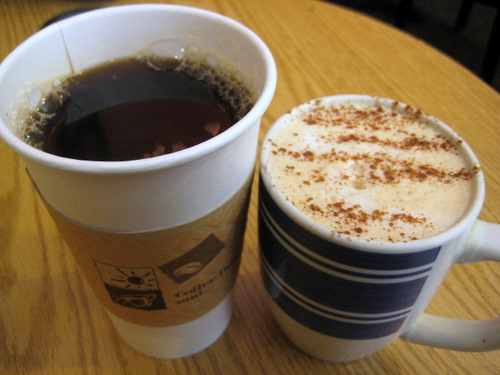 From what I remember, their hot chocolate was pretty OK, and they had a latte — Milky Way? or something like that which was divine. They seem to spread out their selections a bit more when the warm weather hits.